The Supreme Court's new term is filled with major cases, from gerrymandering and civil rights to digital privacy and union fees, that could be swayed with a single vote. Why it matters: This marks the start of Trump-appointed Justice Neil Gorsuch's first full term. This case could end up being the most consequential of the term, as the right to privacy and the government's ability to track people's movements is at the center of the battle. The case involves Timothy Carpenter, who was convicted in a series of robberies based on information found in his cell phone records. Carpenter argues that the prosectors violated the Fourth Amendment by obtaining the records without a warrant. The state of play: Previous SCOTUS decisions on similar issues suggest Carpenter could win, as the NYT points out. The court has already limited the government's ability to use GPS to track people's movements, and has required a warrant to search cellphones. In December, the Supreme Court will hear arguments to determine whether the First Amendment allows a Colorado bakery to deny service to a gay couple. The Colorado court made the decision that Masterpiece Cakeshop's refusal to make a wedding cake for Charlie Craig and David Mullins was a violation of the state's anti-discrimination laws. The state of play: The ACLU, representing the couple, wrote that a Supreme Court ruling in favor of the bakery would "enshrine a constitutional right to discriminate," the Denver Post reports. The Justice Dept. wrote a brief supporting the baker, Jack Phillips, saying: "Forcing Phillips to create expression for and participate in a ceremony that violates his sincerely held religious beliefs invades his First Amendment rights." The court is set to revisit the 2010 case regarding partisan gerrymandering in Wisconsin. Both parties have taken advantage of drawing districts in their favor, but this case has the potential to fundamentally change how voting maps reflect representative democracy and, ultimately, how each party can gain control of state legislatures or House delegations in the future. The state of play: "Gerrymandering is distasteful ... but if we're going to impose a standard on the courts it's going to have to be manageable," conservative Justice Samuel A. Alito said during oral arguments last month according to the New York Times. Another voting rights case is on the Supreme Court's agenda. This one, an Ohio debate over whether the state's decision to remove names of inactive voters from the rolls was legal, will be heard in November. The state of play: The Obama administration argued against Ohio at the level of the appeals court, but the Trump administration is saying the state's actions were lawful, per NYT. The Court will try again to determine whether to overturn a 1977 ruling that lets public-sector unions in 22 states demand fees from workers who aren't members. Critics of the ruling argue the mandatory fee violates the First Amendment, while Union leaders say the fees guarantee that workers can push for higher wages and better job conditions, per Bloomberg. 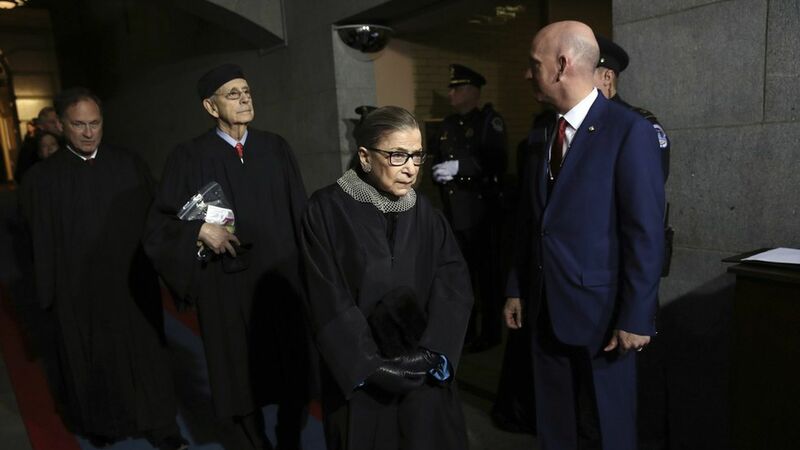 The state of play: The court was set to decide on whether to overturn the case roughly two years ago, but Justice Antonin Scalia's Feb. 2016 death left them deeply divided, splitting at 4-4. The addition of Justice Gorsuch could mean that the push to flip Abood has a shot, leaving several union workers in fear of being dealt a big blow when union membership is already falling.